Skin medical are a leading provider for transgender hair removal patients using electrolysis or laser hair removal. We have been providing hair removal for transgender patients since 2004.Skin Medical are a lead clinic providing services for NHS England through following the gender identity service. We know that for many of our transgender patients, the presence of facial hair is one of the biggest hurdles to ‘passing’ and can cause daily anguish. Skin Medical offer a free consultation to determine the best method of hair removal for each patient.We welcome NHS referrals and private patients and use both laser hair removal and electrolysis. Skin Medical is registered and licensed by the Care Quality Commission.We welcome all patients. Everyone is treated with respect, and confidentiality is paramount. Our comfortable clinic sees a number of transgender patients on a regular basis. Laser works best on darker hair. Skin Medical Laser Hair Removal is carried out within our Manchester Clinic.Laser hair removal can achieve dramatic results to obtain permanent removal or substantial reduction in hair after the course of treatment. We recommended a course of 6 to 8 sessions. 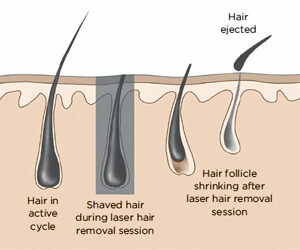 Laser hair removal uses a concentrated beam of light is aimed at hair. The light is absorbed by the pigment, which damages the follicle enough to retard future growth. Lasers can remove hair for anywhere from several months to y ears, as the results differ widely from person to person. We use the Lumenis lightsheer diode laser system. Lumenis lightsheer is the gold standard within the hair removal market and is FDA approved – meaning it has been rigorously tested for safety and effectiveness. Our lasers are highly efficient meaning that fewer sessions are required. What sets Skin Medical apart from high-street beauty salons and many cosmetic centers in Manchester is our expert medical approach. We are registered to comply with the Health And Social Care Act 2008 (Regulated Activities) Regulations 2010 and our procedures are approved by the Care Quality Commission.The Care Quality Commission monitors all medical practices within England, including the NHS. Many hair removal service providers do not meet the high standards required for approval. Skin Medical is staffed by skilled clinical professionals who have the training and experience to ensure all our patients receive safe, highly effective treatment. We are happy to receive NHS patients and privately funded patients. Discount available to private patients when booking a course of 6 sessions save 30%. Electrolysis is medically approved for permanent hair removal of both facial and body hair as the electric current destroys the hair regrowth cells that house the hair root. In a nutshell, electrolysis involves using electrical current applied to the root of the hair, via a very fine needle, to destroy the follicle and cause the hair to fall out. Transgender patients either laser hair removal or electrolysis can treat facial hair. However, for those who are having gender reassignment surgery, electrolysis is the preferred treatment. Electrolysis is very effective for patients who have unwanted natural blonde, red or grey facial & body hair. 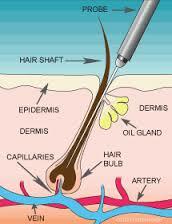 Electrolysis is the only solution available for permanent hair removal if the hair is light/fair or grey. Skin Medical treat hairs using single-use needles and sterilized tweezers to remove individually treated hair to minimize the risk of infection.